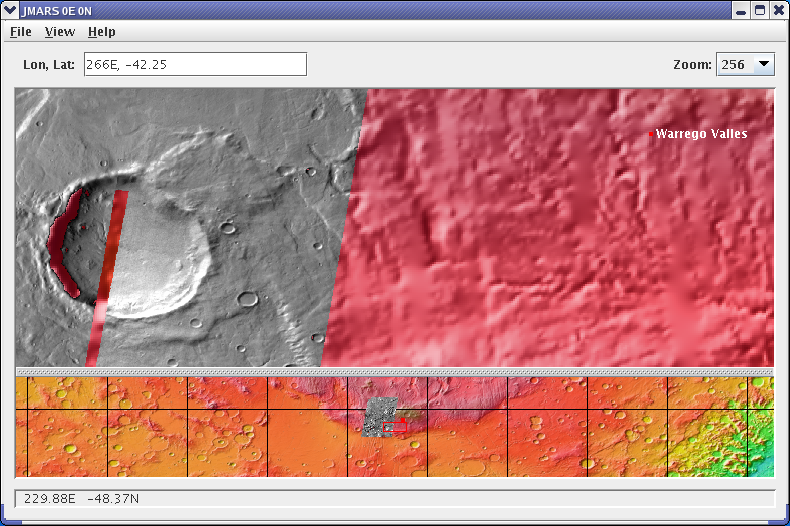 At this point, the Layer Manager should only have the MOLA Shaded Relief Layer, Nomenclature and the Lat/Lon Layer loaded. Remove the MOLA Shaded Relief map by highlighting it in the Layer Manager and clicking "Delete Layer"
Add the MOLA Colorized Elevation map by clicking "Add New Layer" -> "Maps By Instrument" -> "MOLA" -> "MOLA Colorized Elevation"
At this point, the Layer Manager should only have the MOLA Shaded Relief/Colorized Elevation Layer and the Lat/Lon Layer loaded. In the Layer Manager, click "Add New Layer" -> "Nomenclature". Then double- click on the "Nomenclature" tab to see the layer's focus panel. In the "Navigation" section, "Vallis" should be listed under "Landmark Type". Locate and select "Warrego Valles" in the "Landmark" drop-down box. Then click "Goto". The Viewing Window will recenter on Warrego Valles. If you would like to try to upload a custom map you can follow along using your own image or the provided warrego.cub image below. Download warrego.cub by right-clicking on the link and chosing "Save As". This is a custom map (ISIS cube) of a section of Warrego Valles. 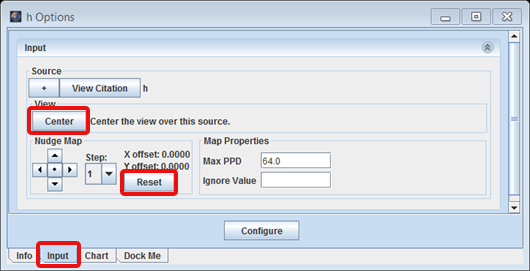 In the Layer Manager, click "Add New Layer" -> "Advanced Map"
The Map Layer Settings window will open. In the "Available Maps" section click "Upload Map". In the "Upload File" pop-up box, enter the file path to the warrego.cub file you just downloaded and click "Upload". 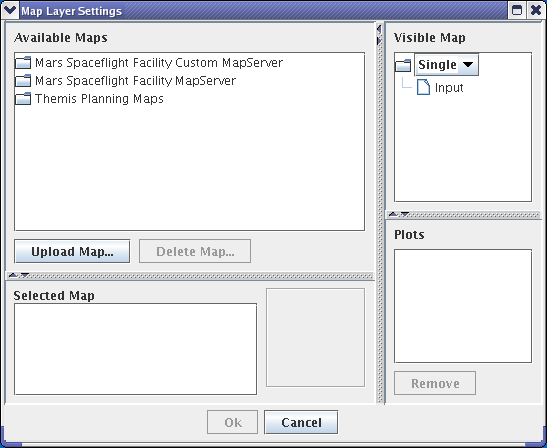 Depending on the file size, it may take a few minutes to load the map into the Maps Space Flight Facility's mapserver. If the custom map has a specified value for transparency (warrego.cub's transparency value is zero) enter the value in the "Ignore Value" box. The warrego.cub file should be shown under the "Mars Spaceflight Facility Custom MapServer". You may need to double-click on "Mars Spaceflight Facility Custom MapServer" in order to see the custom maps you have loaded. 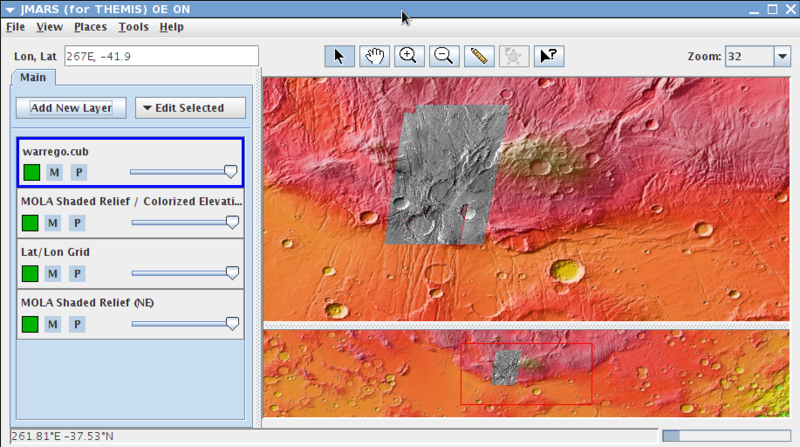 Click and drag warrego.cub from under "Mars Spaceflight Facility Custom MapServer" and drop it on the "Input" line of the "Visible Map" box. The "Input" line should now read "Input: warrego.cub"
The warrego.cub custom map is black and white, so it should stand out against the MOLA colorized elevation map. What If the Background of a Custom Map is Black (Not Transparent)? 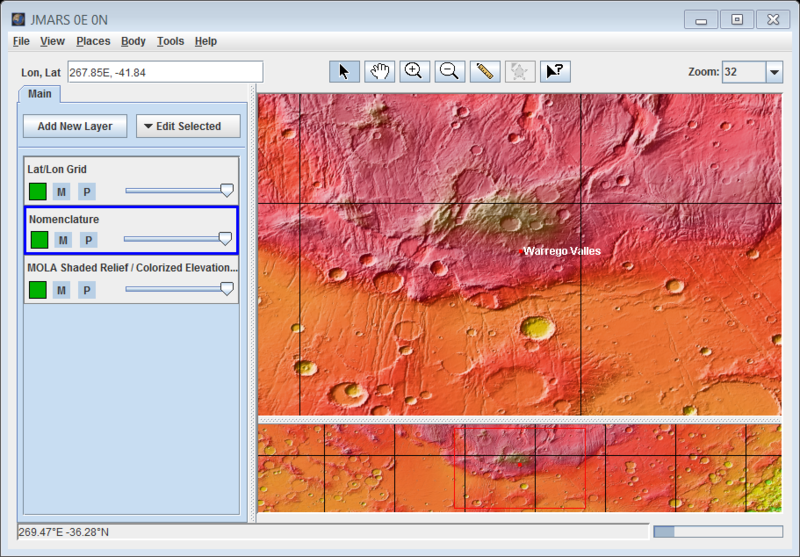 In the Layer Manager, double-click on the tab named after the custom map that you just uploaded to access its focus panel. Then click on the "Input" tab. Zoom the Main View of the Viewing Window to 256 ppd and adjust the position of the custom map in the Main View using the arrows in the "Input" tab" to see how well it lines up with the surrounding terrain. Using the arrow keys in the "Input" window, shift the custom map three pixels to the right. (Since the pixel number in the center of the arrows is set to "1", each click of an arrow will move the custom map in that direction by one pixel. Click on the "1" at the center of the arrows until it becomes "10". Then move the custom map up by 20 pixels. Obviously, the original position of the map was much better than the current position, so click the "Reset" button next to the arrow keys to return the map to its original position. 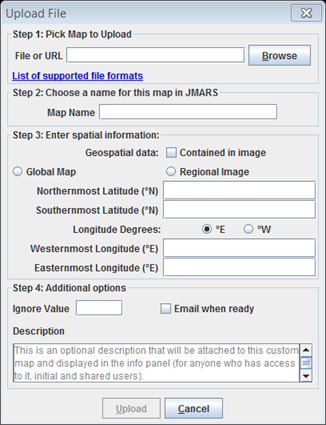 Keep in mind that JMARS will automatically save the moved image, so if you do not want to save the new location press the "Reset" button. 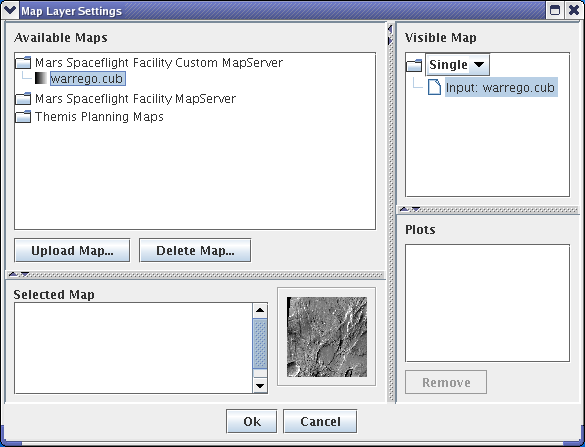 In the "Available Maps" section of the Settings window, under "Mars Spaceflight Facility Custom MapServer", click on warrego.cub.